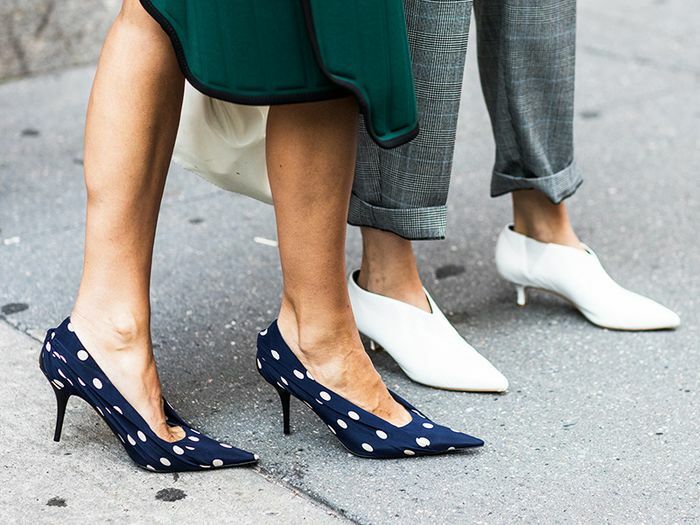 Here's Why Shoes Could Soon Become Cheaper in the U.S.
We interrupt our regularly scheduled Zara-and–skinny jean content to bring you a bit of news about the Senate. We don't often report on bills that have made their way to the Senate, but when said bill involves the price of your shoes, we undoubtedly will make an exception. Let us clarify: Footwear News just spelled out the details on a new footwear legislation that could help both shoe shoppers and companies save money on shoes. As the publication explained, the bill would "designate certain footwear as eligible for the Generalized System of Preferences (GSP) program—which would make such items exempt from duties" ("duties" being tariffs and taxes). The bill was presented in the House this summer and was just introduced in the Senate this week. It means that certain "noncontroversial" shoe categories (e.g., some sneakers and boots) that aren't produced in the U.S. could have their duty fees lowered if the bill passes, which would mean lower shoe prices for consumers. Footwear trade organizations like the American Apparel & Footwear Association and the Footwear Distributors & Retailers of America support the bill, which is definitely a good sign. The bill expires at year's end, so it doesn't look like we'll have to wait long to learn the outcome. On that note, shop some of our favorite boots of the season below, and read more about the legislation on Footwear News. Next up, shop the only mall-brand shoes that matter right now.